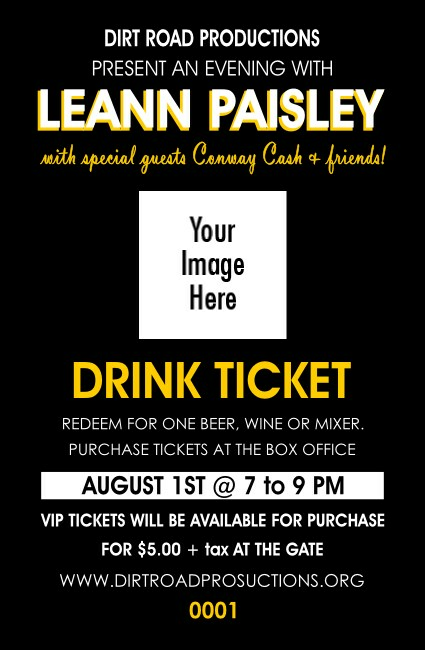 Organize your bar or gift VIPs with a complimentary glass using the Your Photo Concert (Yellow) Drink Ticket. Personalize it to your music event by uploading a custom image into its center, and customize all the text you see in our sample to your needs. Matching event tickets, invitations, and VIP are available! Printed measurements: 2.71" x 4.14"
Manage bar costs and elevate the guest experience with drink tickets from TicketPrinting.com.